Grounded in the rich cultural legacy of Peking University, Guanghua School of Management is at the forefront of China’s social and economic progress. Our mission extends beyond business or management. We are an institution comprised of scholars, pioneers, and innovators.We are determined to advance management knowledge and cultivate leaders. We are dedicated to the betterment of China and the global society. With a team of over 120 faculty, comprised of a diverse group of prominent business leaders and experts, students of all programs have unparalleled academic support. Faculty serve as mentors and their research goes beyond the publication – actively shaping China’s national policies. It is this wealth of knowledge and experience that is incorporated into the learning experience and will advance your studies here at Guanghua. As an international student, you will be among the best and the brightest minds in China and around the world. 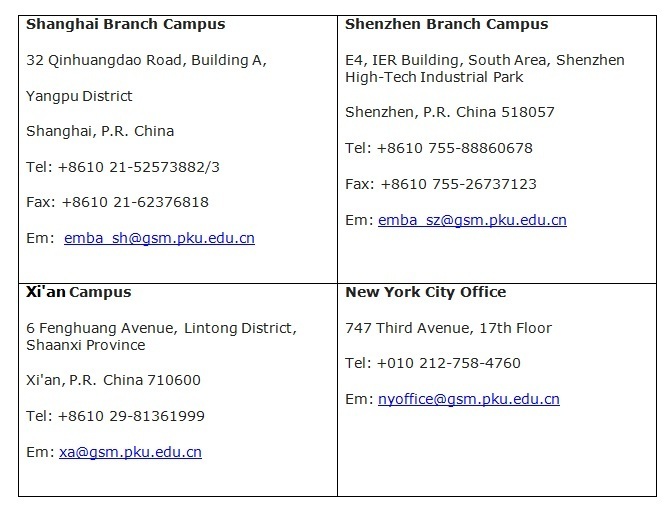 We want you to add to the conversation, challenge your thinking and, most of all, experience global business in China. As a business school at the forefront of the world’s most rapidly growing economy, studying in China is a unique opportunity to start your global career.